Originally published under the title "Allegation of 'Islamophobia' Seems Silly." Canadian elementary school principal Ghada Sadaka is under investigation by the York Region District School Board for alleged anti-Muslim Facebook postings. 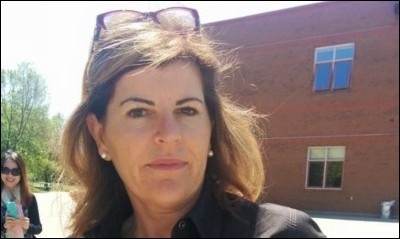 As if Islamist propaganda in our schools wasn't enough, the York Region School Board is now investigating allegations by one unidentified "community member" that an elementary school principal put "anti-Muslim" posts on her Facebook page. The story was flashed across the Toronto Star as its main online headline Tuesday. In much of urban Canada, schools permit Muslim Brotherhood-inspired Islamist student groups to push their agenda among students. But instead of cracking down on Islamism within our schools, we seem to be concerned about those who stand up to these purveyors of an ideology that creates the pool from which jihadis of the future are recruited. Let us see what school principal in question, Ghada Sadaka, reportedly posted on her Facebook page that triggered this controversy. According to Toronto Star reporter Noor Javed, the school principal shared and commented on: videos purportedly showing violent "Muslim takeovers" of Paris and London; articles expressing concerns around bringing refugees to Canada, given their "terrorist sympathies;" and video of a Dutch Muslim mayor telling fellow Muslims, they can "f------" if they don't like freedom. Nowhere does the report say Sadaka denounced all Muslims or peaceful followers of Islam, yet a single, unnamed individual told Star reporter Noor Javed, she felt the Facebook posts were "blatantly spreading hate" and so complained to the school board. This individual claimed, "It is obvious" the person putting up the posts "has a dislike towards Muslims." I'm a Muslim and it is not obvious to me, nor does everyone share this anonymous complainant's views. Mumtaz Khan of Markham, a father of two boys in the York Region school system, tweeted early Tuesday: "#GhadSadaka, how (is it) anti-Muslim post? How long Islamophobia will b used to silence reasoned voices." Instead of cracking down on Islamism in our schools, we are concerned with those who stand up to it. Elaborating on his tweet, Khan told me, "At a time when almost every school in the Greater Toronto Area, including Markham, has Islamists operating under various names, it is unfortunate that Toronto Star would target an Arab school principal who was standing up to worldwide Islamic extremism." His views were echoed by Intizar Zaidi of Richmond Hill who tweeted: "Why is @TorontoStar painting schoolprincipal #GhadaSadaka as 'Islamophobic'? She is against radicalism by Muslims. She is not against Islam." I asked Zaidi, a retired father of three adult children, to elaborate on his tweet. "I am shocked that anyone would read school principal Ghada Sadaka's social media posts and conclude that she is 'Islamophobic'," he said. Newmarket father of two, Amer Schezad, was also confounded by the Star report. He tweeted: "What a shame @TorontoStar @njaved does a bad job on a school principal #GhadaSadaka who was against Islamic extremism and radicalism." This is not the first time the Star appears to have acted as the voice of outrage by a small minority — in this case, one person — at the expense of the broader Muslim Canadian community. I also doubt it's a coincidence the Star sought out reaction to the story from the National Council of Canadian Muslims, but not from the secular, anti-Islamist Muslim Canadian Congress. The Toronto Star over the years has often handed over its comment pages to Islamists, to the exclusion of anti-Islamist commentators. Andrew Cummins is said to have described "Islamophobia" as "a word created by fascists, and used by cowards, to manipulate morons."